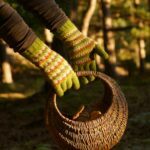 This pattern is part of Lost in the Woods – a collection of 12 patterns by three designers – 6 garments, 6 accessories – inspired by the forests we love. 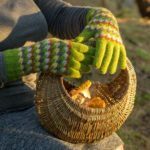 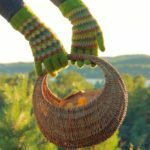 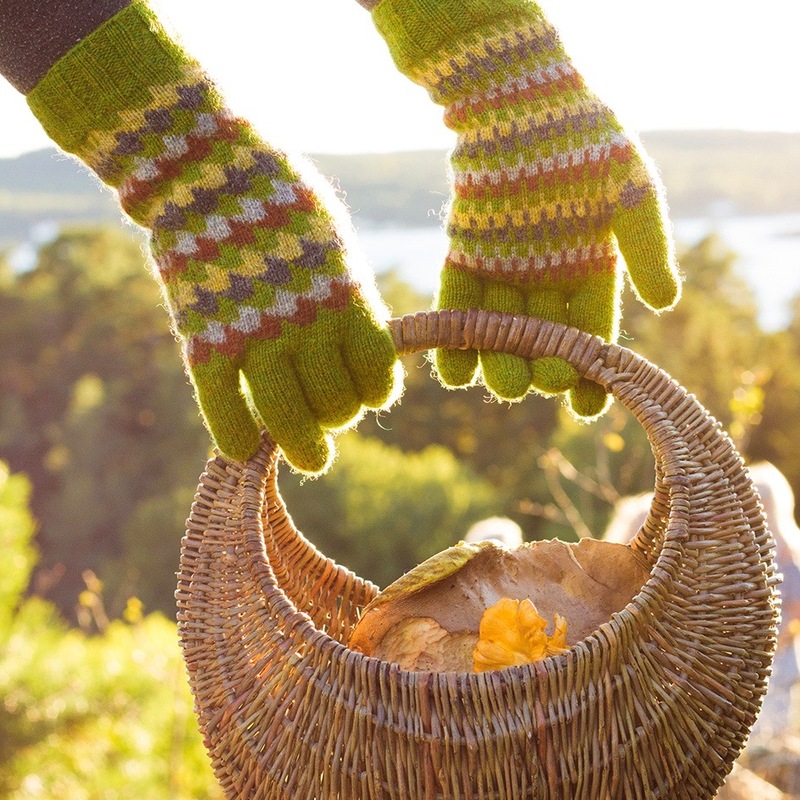 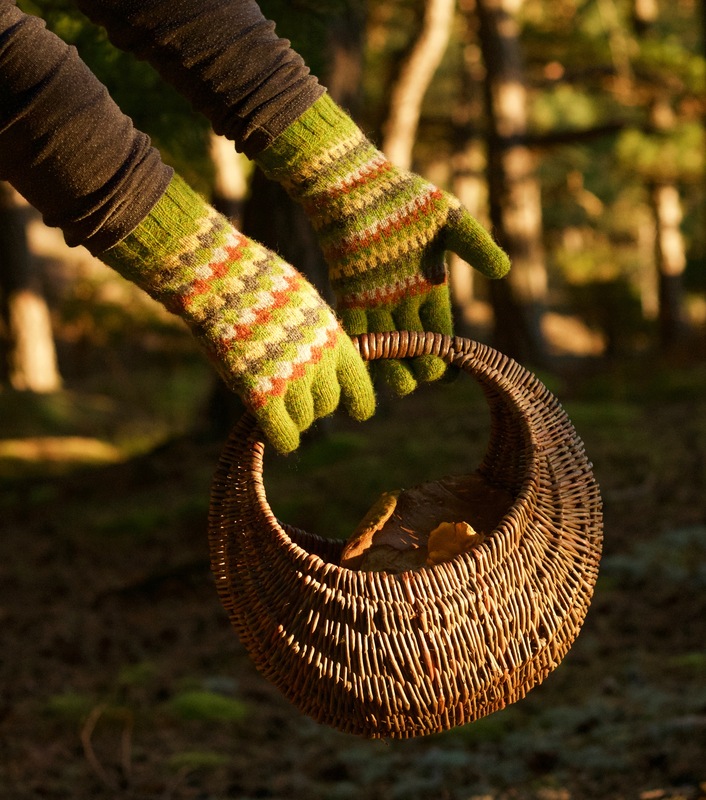 Autumn’s slanted light brings out the forest’s glowing colours, even before the leaves turn, and the woods are more inviting than ever – but if you want to forage in the chilly season, it’s time to slip on some gloves. 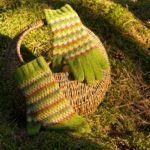 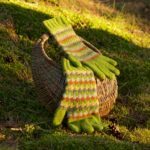 Stranded colourwork echoes these woodsy shades and provides maximum warmth;the thumb gusset increases are carefully incorporated into the stitch pattern, while the long wrists ensure no draughty gaps under your coat. 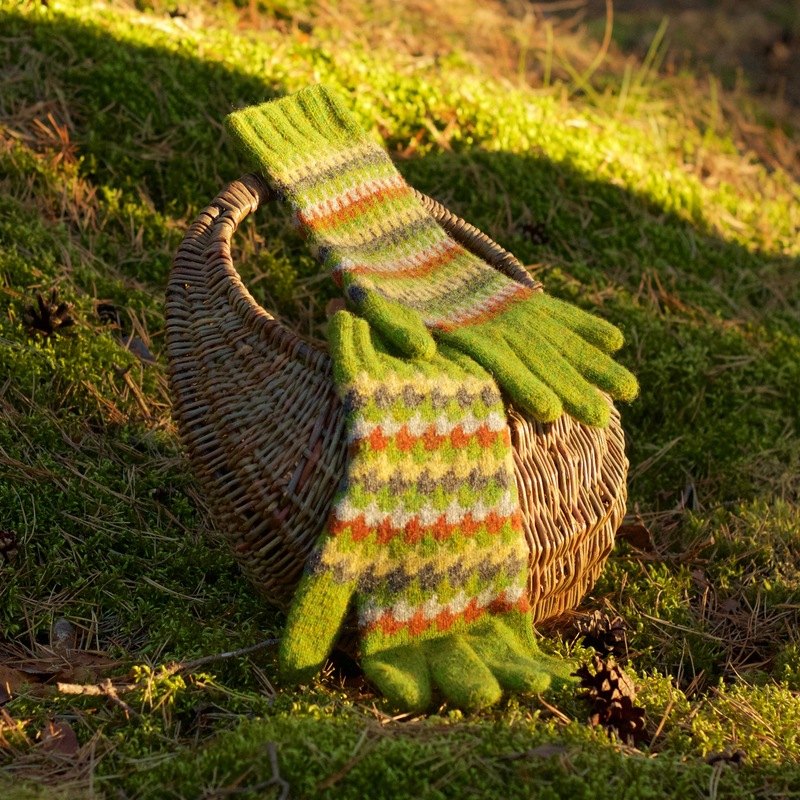 Sample uses Jamieson & Smith Jumper Weight, 115 m / 125 yards per 25 g ball.